The Days of Johann, an agility dog! 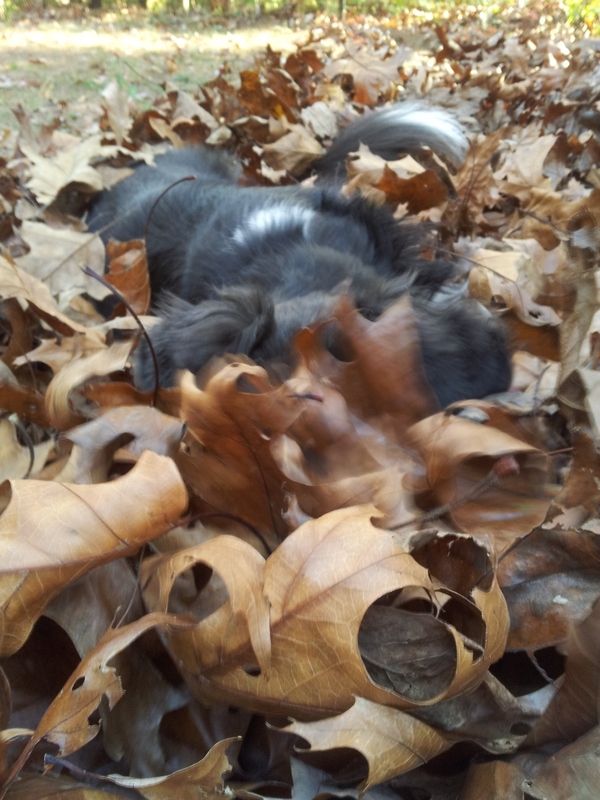 : Leaf pile fun! Oh yeah, we got leaves! Leaves and leaves and leaves, which makes Mum sigh and say, 'more raking, more raking and more raking'. The only thing keeping her sane through it all is how much fun we have and how much we entertain her as she rakes away. Although she secretly wishes she had an industrial supply company that could take care of all of them for her. This is Gracie (left), rummaging through to find a stick that Mum hid in the leaf pile. Mum has been known for hiding lots of stuff in the leaves - toys, sticks, stuffies...we love the game!!! Then after those types of games are over, Gracie and I get our leaf romp on!! !